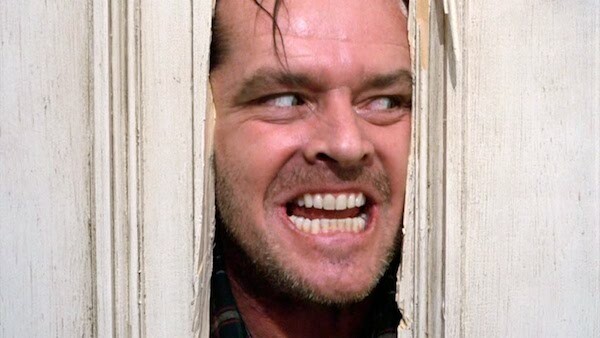 The Shining is a masterwork of psychological horror that continues to scare new generations of moviegoers. Aside from its iconology, the film is infamous for its many inspired conspiracy theories and for Kubrick's icy treatment of Shelley Duvall, which caused her to suffer nervous exhaustion throughout filming and no doubt contributed to her current mental situation. However, those widely-known factoids don't appeal to us much. No, we wanted something more hushed and surprising — dare we say, OVERLOOKed? So, we went hunting for some lesser-known facts concerning one of our favorite horror films. As Jack Torrence so eloquently puts it: "Go check it out!" The many translations of "All work and no play make Jack a dull boy." Kubrick was always mindful of his foreign audience and would include inserts of translated media, such as newspapers, etc. The Shining's iconic typewritten line, "All work and no play makes Jack a dull boy," was no exception, and the phrase actually changes meaning for foreign translations of the film, all at Kubrick's request. Different variations include: “Don’t put off till tomorrow what you can do today.” (German version); “No matter how early you get up, you can’t make the sun rise any sooner” (Spanish version); "The morning has gold in its mouth" (Italian version); "What you have is worth much more than what you will have" (French version). And while no one is certain whether Kubrick typed all 500 pages of this phrase for the production himself, he also never tasked the prop department with this chore either. Allegedly, he used his own typewriter to make the pages, which had built-in memory that could've typed the pages; however, the pages in the film include different layouts containing multiple instances of human error. While it's certainly a Kubrick characteristic to hand type each individual page, this is just one more mystery to add to the film's pile because Kubrick never addressed the question prior to his death. "Here's Johnny!" — Jack Nicholson's contributions. According to Shelley Duvall, the "Here's Johnny!" scene used a total of sixty doors and spanned three days of shooting, and Jack Nicholson ad libbed the line (the only line in any of Kubrick's films to grace the AFI's Top 100 Movie Quotes), which Kubrick felt worked well for the scene so it stayed in. King would try his own hand at an adaptation with director Mick Garris, and, well, we all know how that turned out... not as good. Kubrick knew how to set the mood. Reportedly, one of Kubrick's favorite films was David Lynch's 1977 debut, Eraserhead. He loved it so much that he cited the film as a creative influence while making The Shining, and even screened it for the cast and crew to show them the mood he wanted to achieve for the film. The connection here makes total sense given that both films are disturbing in their own right with a touch of the comedic and essentially depict tales of infanticide. Danny Lloyd thought the film was a family drama. While Kubrick may've terrorized Shelley Duvall to extract the performance he wanted, he was surprisingly considerate to the young and impressionable Danny Lloyd, the child actor playing (ironically) Danny. All throughout the year-plus shoot Kubrick was able to shelter Lloyd from the film's genre. Lloyd later told sources that he was certain that he was shooting a drama about a family in a hotel, not one of the most disturbing horror films ever made. In order to achieve this, Kubrick had Shelley Duvall carry a life-size dummy while shouting at Jack in the Colorado Lounge so Lloyd would not have to be in the scene.